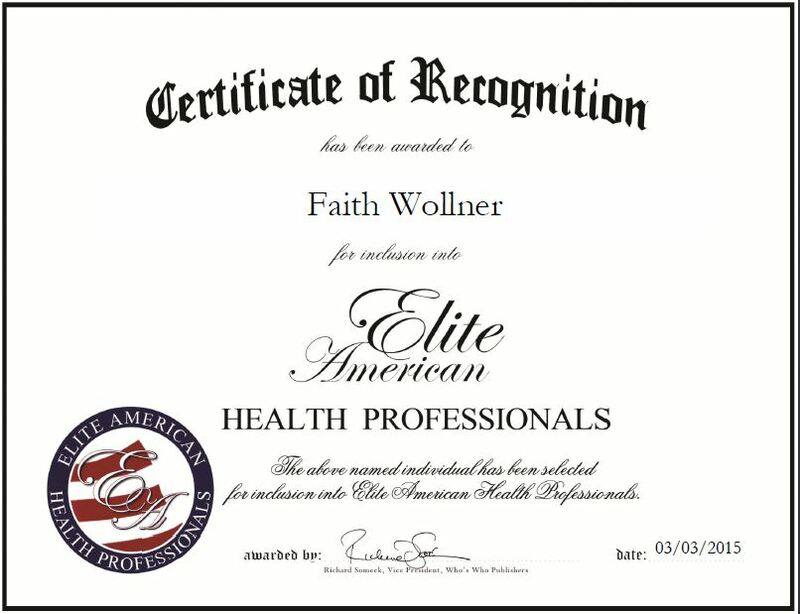 Faith Wollner always enjoyed healthy living and integrated nutrition and made the decision to pursue a career in holistic medicine. For the past six years, she has served as a yoga teacher, Reiki Master and holistic health practitioner for Welcome Om, a holistic health company that provides clients with a wide range of health and yoga services. In her role, she works with schools, local businesses, and individuals to promote holistic health and yoga classes, and handles client relations, marketing, finances and accounting. Additionally, she conducts occasional webinars on various health-related topics. Ms. Wollner is certified in Kripalu Teaching, Senior Adult Yoga through Lotus Gardens Studios, and Yoga Teacher Training through Santosha Center for Health, and is a Silver Sneakers Flex Instructor and Certified Yoga Instructor, and Certified Level 1, 2 and 3 Reiki Master through Santosha Center for Health. She attributes her success to her hard work, determination and persistence. In the coming years, Ms. Wollner would like to publish an online yoga magazine. This entry was posted in Holistic Medicine and tagged balance, calm, healing, Reiki Master, training, webinars, yoga. Bookmark the permalink.